Nifty February series begin with writing 5000PE strike price with highest open interest among the series. Also there is condierable amount of option interest visible in 5200CE and 5300CE. 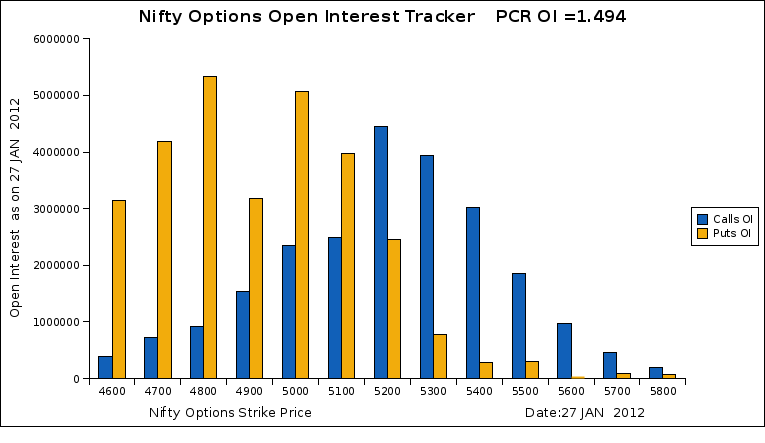 Spike in open interest in these option strikes in the upcoming sessions could drag the nifty towards 5050 zone. Can you tell me the source of the open interest figures ? The ones on the NSE website (Option Chain) show different figures. For example; 5000 put is 50,59,000 and 5000 call is 23,48,000. Your figures are 73 lacs and 52 lacs for 5000 put and 5000 call, respectively.